You are here: Home / How To Use PLR / What Is PLR “Private Label Rights” Content? What Is PLR “Private Label Rights” Content? Do You Understand What PLR Is? To make things a little easier, we have all used generic brand goods. For example, we can buy generic products in our supermarket, where a company has purchased a product from another company and rebadged it as their own. I am sure you can think of hundreds of products! This is what PLR is! You can purchase PLR content and rebadge it as your own. You can put your label on it, change the ‘ingredients’ (or words in our PLR articles) and sell the product as though you are the author. PLR from our store allows you to use and redo the product any way your heart desires! You can add your own name, edit it and sell ebooks or reports for any price you wish. It’s as if you’re the original author without all the work of writing the content. Note: The only thing you can’t do is set up your own PLR store (like ours) and sell our PLR in your own store. (This comes under another license “PLR Master Resale Rights” and we do not offer that!) Anyone caught doing that…well just don’t do it please. PLR products come in all sorts of packages. You can buy PLR packs of articles, PLR ebooks or reports, or PLR infographics, videos, slideshows etc. Have you seen our mega PLR packs? You can use our content (as your own) and even sell one of the ready-made ebooks or reports. You can also setup your sales funnel with one of the reports as a free offer! There are many uses for PLR. Why Would You Use PLR? The reason is simple. The work has been done for you already, saving you time and money. Work out how much it would have cost you if you had the content outsourced…or work out how much time it would have taken you if you had done it yourself. If you had someone else write and design all the content for you, it would cost a lot more! The time and money saved is worth the few dollars buying PLR don’t you agree? Another reason is your website may need updating with more content, but you may have run out of ideas. If you purchase quality PLR you will be provided with new ideas and interesting content for your readers. Your website is your business and it pays to use quality. There is certainly poor quality PLR being sold and yes, it will hurt your reputation if you use it. That is why you will hear some people say PLR is useless. There was a time when people only needed content to rank their sites in the search engines, so they would buy rubbish and not be concerned about quality. Things have changed and quality is everything if you want to be an expert in your niche. We provide quality PLR so your reputation will not be jeopardized! PLR providers hear this all the time. “Unique content” what does it really mean in the eyes of Google? Do you know that Google looks at a ‘whole web page’ not just the article on the ‘webpage’?On your webpage you have sidebars, comments, menus, footers, you have a myriad of ‘content’ on your page. Is your web page the same as someone elses? No. If you posted the same article on your website would it be ‘duplicate content’? Yes it would…but it is not necessarily ‘duplicate content’ on someone else’s website. Let me explain further. A disaster occurred and a newspaper published an article about it on their website A, then website B covered the story and website C, D and E did too, because it was important news! Is that a duplication? No. If someone buys our PLR packs and uses it on their website or in their autoresponder or gives their members a free report…is that the same as what the owner of website A, B or C does? No. You can change the title, add your own voice…make it yours…even say, you read a great article and wanted to share it on your website…get the idea? I like to suggest, to those who are concerned, to modify their PLR to suit them. Make it yours and feel good about what you are sharing! You may have your own flair that your readers are used to…perhaps you add a touch of humor or sarcasm into your writing…add these personal touches and they are made unique to you. In conclusion, our PLR content is limited to a certain number of buyers. It will not be sold hundreds of times over…and just for your information, many people who purchase PLR leave it on their hard-drive…so not all buyers even use it…sad but true. However, if you use it that is to your advantage! Hopefully I have explained ‘what PLR is’ good enough for you to see how valuable it can be to you. If you do have any questions, please ask me in the comments below! I would love to help you understand what PLR is. Excellent post. It clears up a lot of mis-information that many folks have read online. Many marketers think “PLR” is junk or useless duplicate content but if done correctly it can help the new marketer with tons of content that can be used for all sorts of products, posts, and or ebooks. The one thing I do is read the PLR content then re-write it and give it my own personality. It saves me time, money and it actually helps me become a better writer. How you use your PLR is perfect. Giving it your own personality makes it unique to you…and it’s a win-win if it also helps you become a better writer! Excellent post Susan, I use PLR graphics all the time and PLR makes a terrific outline for a webinar. I use it as an outline where I fill in the “blanks” with my own experiences. It’s a great time saver, and good quality PLR is well worth investing in. 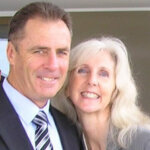 Great explanation Susan and I love PLR too as both a buyer and a seller! You and me both Sue! After buying so much PLR that I wasn’t happy with, my goal to provide quality PLR as a seller has finally eventuated. However, although now a seller, that won’t stop me being a buyer either! I actually registered here as a member and forgot to download the free PLR membership package. Anyway, I just downloaded it. So guess this is like back in college for me. When we were asked to write a research paper, I used to get an article that I like and somehow copy the structure of the sentence with me changing some of the wordings on there. So this is the same with PLR right? It’s like the PLR is the master. You can change it in any way you want it. Anyway, I added this to my Pocket and will study this again. Thank you my friend. P.S. So where is the page where I can become an “Affiliate” of this? Please send me to the right page. Thanks. As you are already a member you can login to your member’s area and click the link that says “Advertise our website…”. If you read this page, I have explained everything step by step on how to access your banners and links and enter your PayPal email to receive commissions! That is exactly right Angela! You can reword it or do whatever you like with your PLR. You can rewrite some of it, all of it or none of it…the choice is yours! I like how you said that “PLR is the master.” Again, you are correct…it is the ‘master copy’ but it is yours to use and alter as much or as little as you wish. Inside your free download you will see the PLR license instructions. It will give you more ideas on how you can use your private label rights content. Signing up for your affiliate program, starting a little PLR store where I was hoping to add some of your products. I actually had a question about your PLR as well. Lets say I bought a PLR articles pack from you, re-branded it, put my name on it, added some extra content to add value to it and then converted it into an ebook. Would I be allowed to sell MRR to the ebook (no PLR)? Sorry it might be a dumb question to some but this is something I’d really like to know. 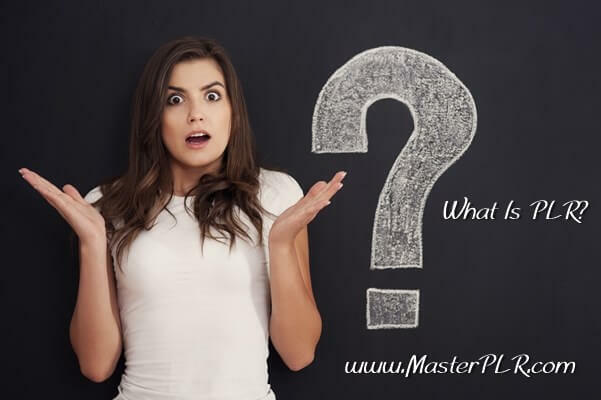 In regards to your questions about using our PLR, the answer is no, you can’t sell them in your own store or sell them with master resale rights, even if you changed it a bit. For you to do that we would have to be selling our ‘Private Label Rights’ content as ‘Resell Rights’. PLR is for ‘private use’ where you can create an ebook to sell to your website customers, but you cannot give them any license to sell at all. Thank you for a great explanation of PLR. Do you permit the ebooks to be sold as an ebook only ( no resale of rights ) on my planned membership site? I would like to include some of your books as products on this site. They would be offered at full price to non-members but at a discount to members. Just want to check if I can create a free e-book from your PLR Content. I want to submit some of them to free e-book sites. It is better not to submit them to free sites as it devalues the content, so we would prefer you didn’t. This protects other buyers of the content. Creating them for sale is better anyway! Thank you for asking! Would I be able to make a hard copy book and sell it? I keep seeing e-book. If the rules on your PLR license say you can do whatever you like…yes you can. However, there are a few problems that you may face. One problem is some PLR licenses say you can’t claim copyright…and publishing as a hard cover book, usually it is ‘copyrighted’ to the author or publisher, therefore you would be going against the PLR license. Another potential problem I see is you may lose credibility. Other people purchase the content too and if you say you are the author, and people read an ebook by another person…you may be seen as copying. You may think this can happen with ebooks too…but I always recommend people say, “Brought to you by….” rather than written by ‘expert author’. This is where ebooks are great because they can be sold in memberships or on individual websites. I hope that helps.